Making custom die-cuts with stamping imagery is easy and efficient with this set! Simply stamp your image and then cut what you see! 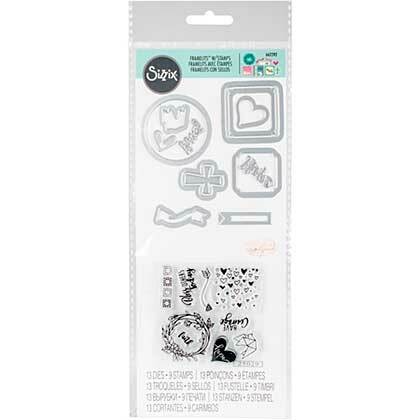 This package contains Grace for Today Planner: a set of 13 dies measuring approximately 0.75x0.5 to 1.75x1.75 inches and nine coordinating stamps on a 2.75x2.75 inch backing sheet.